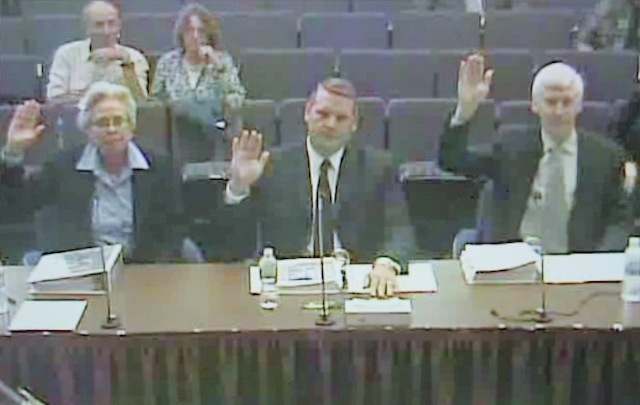 From left to right: Las Vegas water authority witnesses Kay Brothers, John Entsminger and Richard Holmes were sworn in on Monday, September 26th at the Carson City hearings being held by the State Engineer of Nevada to determine whether and in what quantity to permit groundwater pumping for a Las Vegas pipeline. Pat Mulroy seemed haggard and uncharacteristically subdued as hearings commenced today in Carson City over whether to allow Las Vegas to pump groundwater from four rural valleys to support more casinos and houses in Southern Nevada. Yet, as she took more than half a day’s questioning, the performance today by Southern Nevada Water Authority’s controversial general manager built into one of her best. She all but annihilated suggestions by opponents that increased conservation, water trades from California or desalination were magic bullets that would obviate the need for rural groundwater to keep Las Vegas in business. Anyone who doubts her mastery of Colorado River politics should seek out copies of today’s testimony. As good a speaker as Mulroy can be, and today she was great, she was also aided and abetted by the rules of engagement. Carson City civility and debatable definitions of “beneficial use” of water prevented the asking of the most obvious question: Who in their right mind would support destroying some of the most beautiful valleys in the west — most of them federal public land — to support unchecked expansion of what amounts to an urban hybrid of Disneyland and Gomorrah? The other elephant in the hearing room, or in this case, the dolphinarium in the Mojave, remains the absurdity of pursuing growth in a metropolis located in what is already a desert and is expected to become even hotter and drier with climate change. Gains from Mulroy’s performance were drastically undermined late in the day when a SNWA attorney tried to certify Kay Brothers, Mulroy’s former deputy, as “an expert for hydrological modeling for water planning purposes.” Three years ago, it was revealed that Brothers and the attorney were among an inner circle of pipeline architects who attempted to suppress models by real hydrologists showing the devastating impact that the proposed pipeline would have on the target valleys. The hearings officer declined to certify Ms Brothers as an expert on modeling. 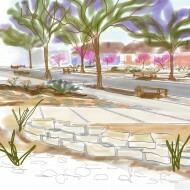 Growth is over in Southern Nevada, and does not look likely to begin again any time soon. The conservation total is particularly significant because with the growth boom over in Southern Nevada, the SNWA has shifted its rationale for the Groundwater Development Program to a need to diversify its Colorado River-dependent portfolio because of the alleged threat of drought drying up Lake Mead. However, the protocols developed by the Colorado River Basin States and the federal government call for cuts of 13,000 to 20,000 in the SNWA allocation from the river in the event of extraordinary drought causing water levels in Lake Mead to fall precipitously. Those cuts, which would preserve access to the river for all users, fall far short of the conservation measures already achieved in metropolitan Las Vegas.11 This means that even in the event of a deepening drought, Southern Nevada water users would not be affected. They have already conserved their way out of crisis. One possible motivation could be the Coyote Springs development on U.S. 93 north of Las Vegas at the intersection with NV state road (289?) heading east to Moapa. There is NO water out there (approx. 50 miles north of LV) though the development is located near the proposed pipeline route. Developer Harvey Whittemore is planning for 100,000 more homes and 16 golf courses for that project. He could make between 20-30 million dollars IF Coyote Springs is completed, though this depends exclusively on reliable access to water. In earlier years Mr. Whittemore was eager to provide financial support for the SNWA pipeline project, though now he is trying to staying out of the spotlight regarding his interest in the SNWA pipeline. By the time the Snake/Spring aquifer is pumped dry, all the beneficiaries such as Mr. Whittemore and Ms. Mulroy will be safely retired with their benefits and out of harm’s way. The working class urban ratepayers of Las Vegas will be stuck with an expensive bill for the pipeline though the benefits will be missed by them and the people will be stuck with an empty pipeline and another depleted aquifer. Another example of the AFL-CIO President selling out the rank and file workers to favor the wealth enhancement of developers. Since Mr. Whittemore is planning to build 100,000 additional houses sold at 100,000 dollars that would net him a nice even 10 billion, if each house is sold at 200,000 then he gets 20 billion. Considering that Las Vegas urban ratepayers and even taxpayers outside the district will foot most of the $15 billion price of the SNWA pipeline, Mr. Whittemore is looking at a considerable profit IF the water becomes available for his planned 100,000 homes expansion at Coyote Springs. 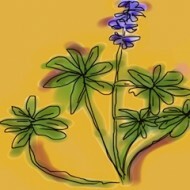 By the time the Snake and Spring Valley aquifer system collapses from overdraft, Mr. Whittemore would have sold his houses and retired with his jackpot that was financed by urban ratepayers and at the expense of ranchers and spring dependent ecosystems that support endemic species like yours truly, the slow at math spring snail! !